Harare - Accused of assaulting a young model in a Johannesburg hotel, the wife of Zimbabwean President Robert Mugabe is a fiery character with political ambitions who describes herself as the "mother of the nation" and whose scoldings of top figures in her husband's government earned her the nickname "Dr. Stop It." Grace Mugabe returned to Zimbabwe on Sunday after South Africa granted diplomatic immunity despite calls for her prosecution in the alleged attack on August 13, though a group representing the young woman has gone to court in the hope of complicating any attempt by Mugabe to return to South Africa. The impact of the scandal on Zimbabwe’s first lady, whose political maneuvers have stirred speculation that she wants to succeed her 93-year-old husband, has yet to be determined. State-run media have been largely silent about her recent troubles. “For Grace, the surprise was probably to the extent to which some people were trying to hold her accountable. She is not used to that,” said Alex Rusero, a political analyst in Zimbabwe’s capital, Harare. He said her supporters likely will not be swayed by the scandal even if rivals try to use it against her, and that “if anything, she will be back on the campaign trail” claiming she was targeted in South Africa by old enemies of her husband. 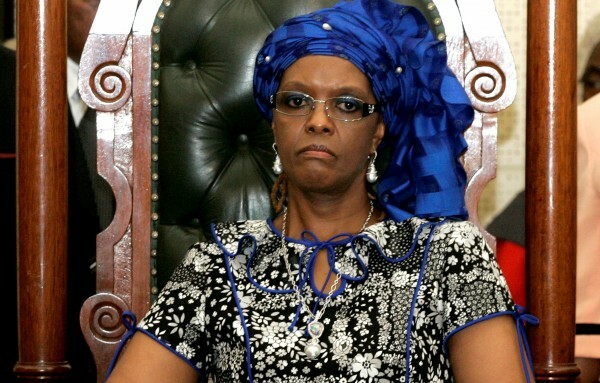 Grace Mugabe has not appeared at any official events since returning to Harare, though she could join her husband on Friday at a scheduled appearance at an agricultural show in the capital, or when he presides over the funeral of an independence war veteran on Saturday. In 2009, the first lady escaped charges through diplomatic immunity after allegedly assaulting a British journalist who tried to photograph her while she was shopping in Hong Kong. She campaigned successfully for the ouster of Vice President Joice Mujuru in 2014 as factions in Zimbabwe’s ruling Zanu-PF party jostled for influence in anticipation of the eventual end of the elderly president’s rule. 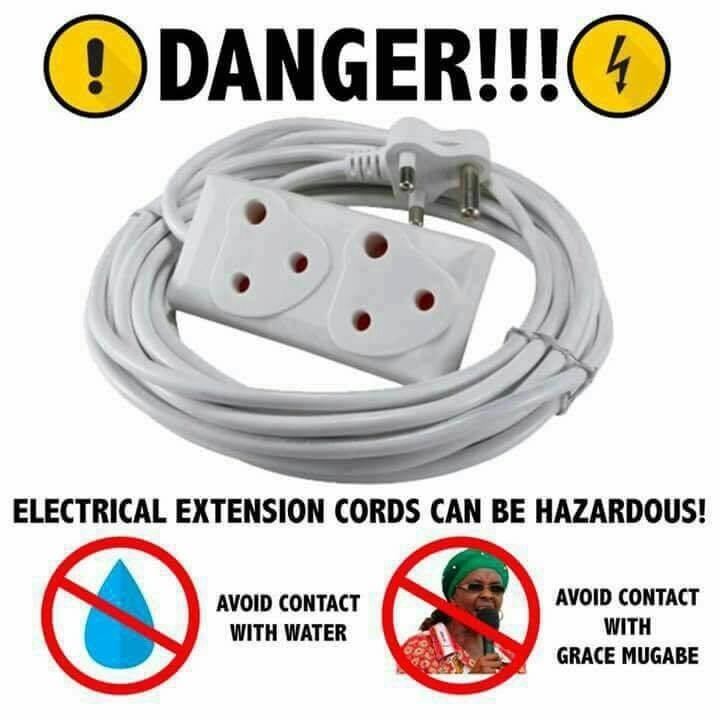 Grace Mugabe also scolded presidential spokesperson George Charamba at a rally last month ahead of next year’s election, accusing him of using his hold on state media to attack politicians aligned with her support base. “You cannot separate the president from his wife. That can’t happen,” the 52-year-old first lady said. She wagged a finger at Charamba, who stood still, sheepish and nodding. President Robert Mugabe plucked his second wife from the secretarial staff decades ago, and she has since become head of the ruling party’s women’s league. She recently publicly challenged her husband to name a successor, a taboo topic in a country where critics of the president have sometimes been sidelined, jailed or, according to human rights activists, beaten and abducted. At the same time, the first lady has lashed out at anyone perceived to be undermining her husband. On one occasion, Grace Mugabe all but threatened lawmaker Fortune Chasi when he was a deputy justice minister, accusing him of frustrating her efforts to obtain more land near a farm she owns. The area has gold reserves, and some villagers there pan for gold. “I might have a small fist but when it comes to fighting I will put stones inside to enlarge it, or even put on gloves to make it bigger. Do not doubt my capabilities,” she said at the time. Police later stormed the land, burned houses and ordered dozens of people occupying the area to leave. The villagers remained after a court said police acted illegally. In April, police again raided the area to force an eviction and arrested some residents. Despite an often abrasive manner, Grace Mugabe‘s commanding presence and charity work have won support from some Zimbabweans. The president, an intimidating figure in his own right, seems to know better than to defy his wife. At a ruling party congress in 2014, she passed a note asking him to end a long-winded speech. “Even at home that’s what she does to me, so I have to listen,” Mugabe said as he left the podium.